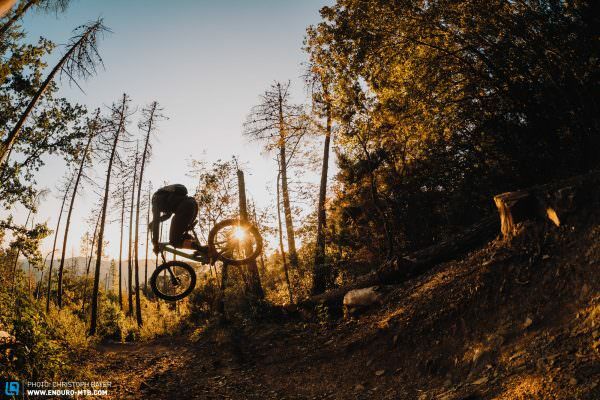 From a quick after-work ride to a transalp expedition or a day in the bike park: modern trail bikes can do it all. 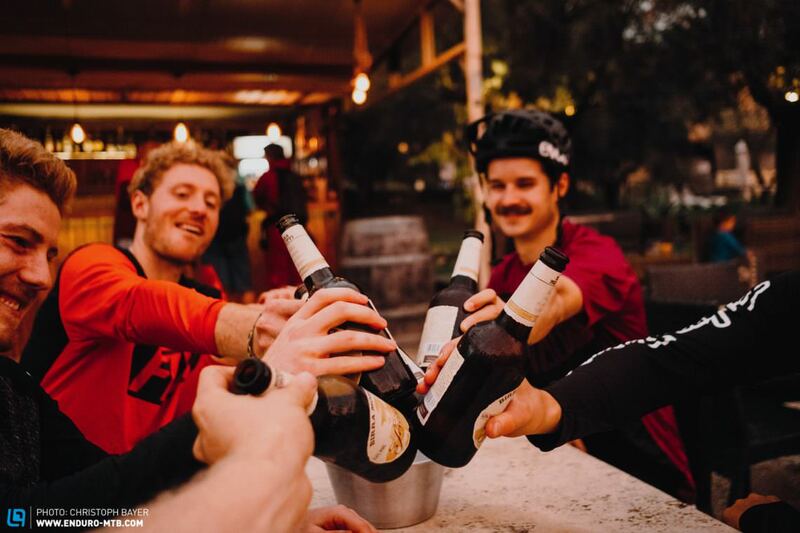 They’re brilliant all-rounders and, if you like, they are “true” mountain bikes. We tested 13 of next season’s most exciting models for you, but in the end, only one could come out on top! 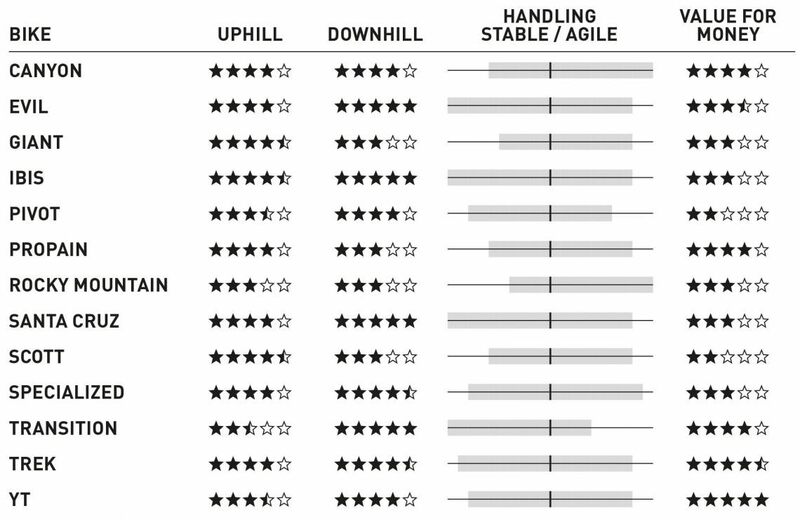 The bike industry spent many years categorising bikes. It used to make sense, but then the categories became increasingly specific and niche until the principle became absurd. 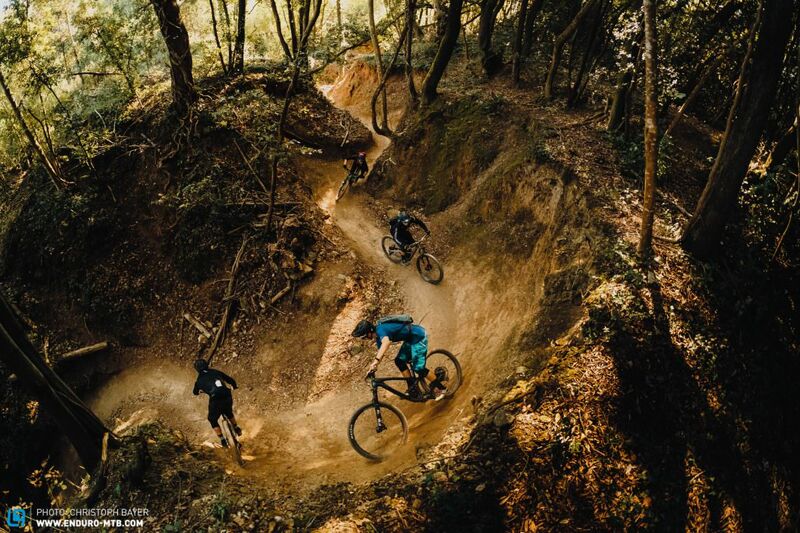 Who needs all-mountain bikes with freeride genes? 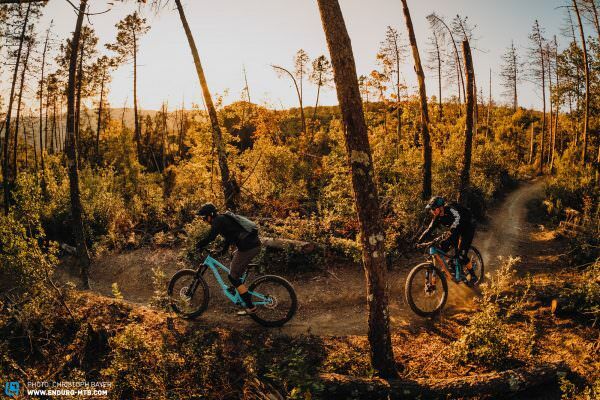 We at ENDURO prefer to keep it simple: where cross-country bikes stop, trail bikes come into play and are then replaced by even harder hitting enduro bikes that have been developed for really demanding tracks. 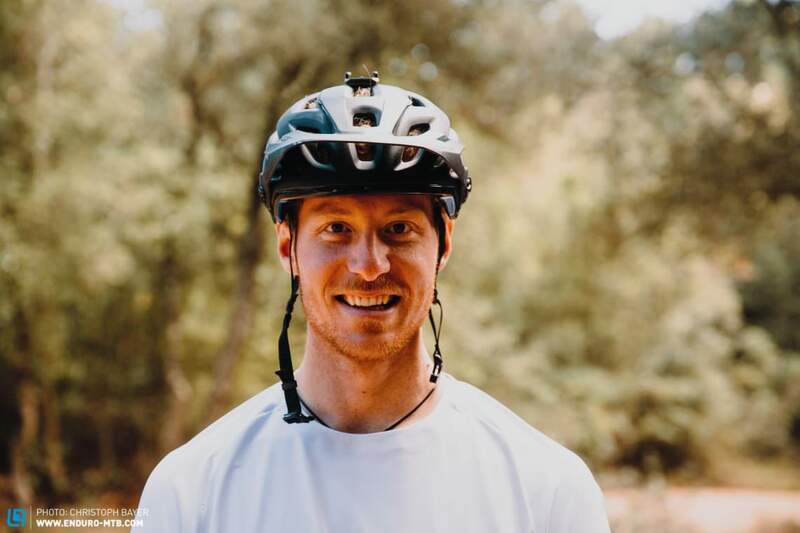 We don’t define the bikes according to how much travel they’ve got, but according to their handling and their intended use. 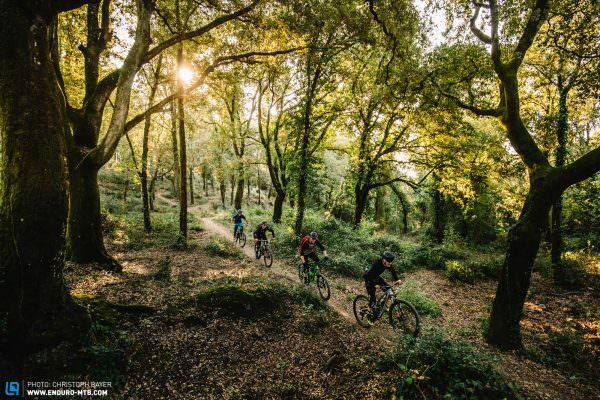 What’s the intended use of trail bikes? 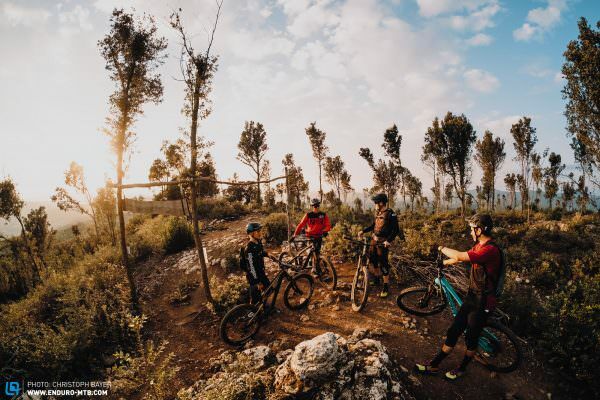 Trail bikes are all-rounders –capable and efficient climbers, very comfortable to ride, and equally at home on both flowing and demanding descents. For this reason, our testing conditions had to be just as diverse. 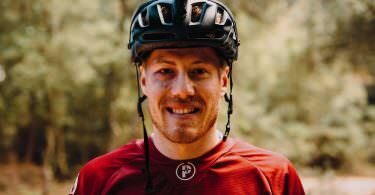 We took them to our rocky home-trails at the foothills of the Alps. 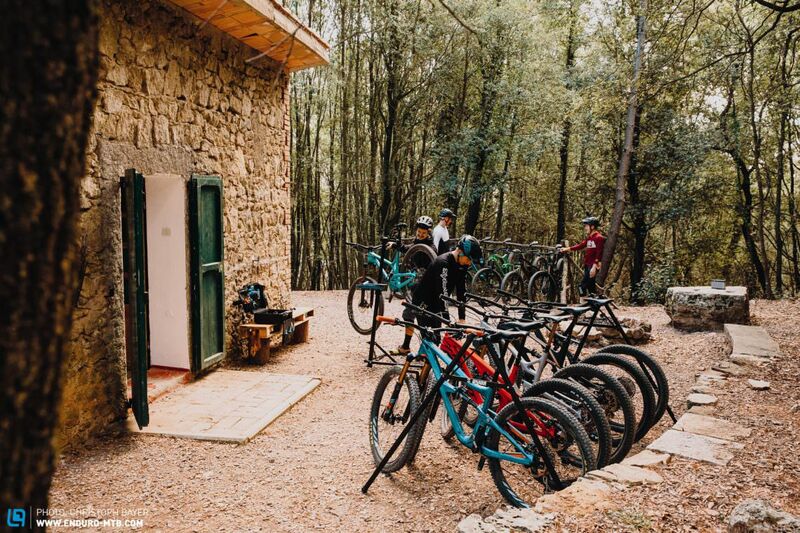 We made trips to bike parks, such as Saalbach Hinterglemm, and we spent a week in the trail paradise of Massa Vecchia in Tuscany, comparing the bikes head to head. 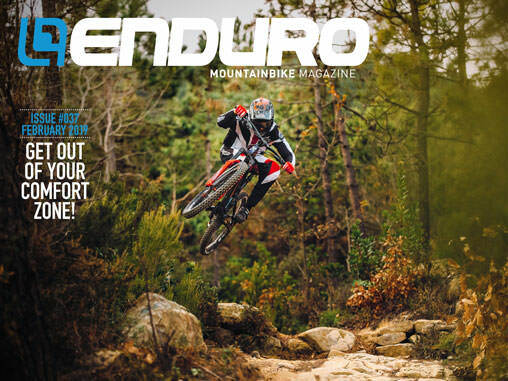 My great passion is enduro racing. 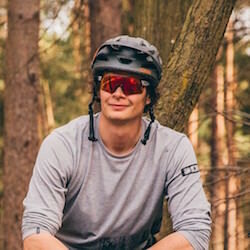 I’ve taken part in some EWS races and what I look for is a really fast bike with lots of reserves, but that won’t look out of place at more relaxed events either. 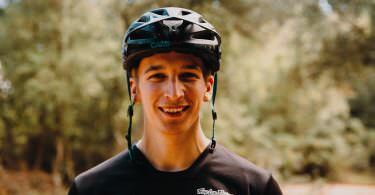 I’ve been riding mountain bikes since I was a kid and competed as a junior at the Cross Country World Cups. What counts for me is efficiency and precise handling. For me, the thing that counts most of all is having fun! I love popping off edges, drifting through corners or manualling. It goes without saying that I want a bike with playful handling that is good at doing just that. Together with my brother Paul, I used to race in my youth. 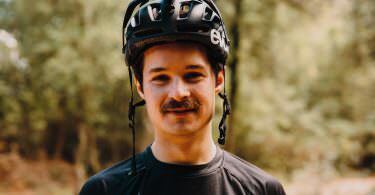 Today I prefer riding long distances and what I look for in a bike is good climbing capabilities without compromising too much on downhill performance. 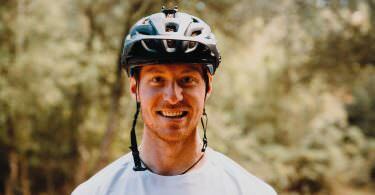 I’ve been heading the group tests at ENDURO for five years now. 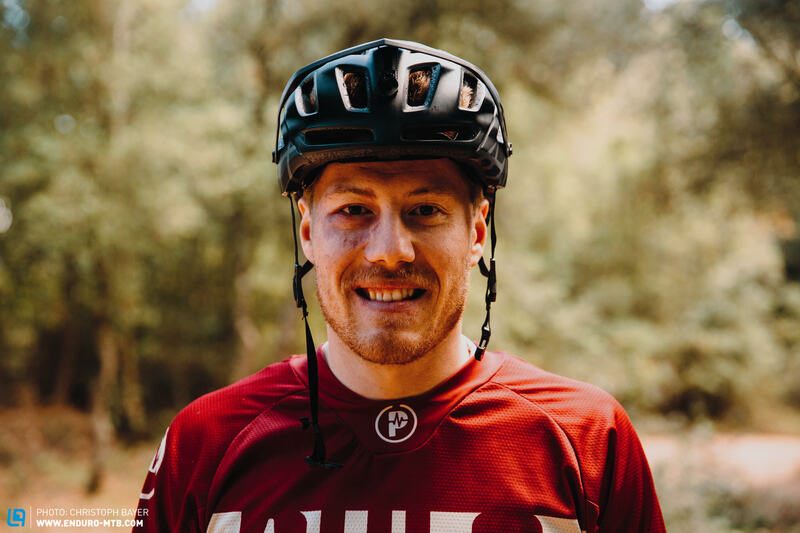 For me, the best bike has to be able to combine contrasting riding characteristics, making it as versatile as possible. All the better that we found the perfect bike! Until recently, you would be hard-pressed to find 160 mm travel on anything other than an enduro bike. Bikes were often categorised according to their travel. 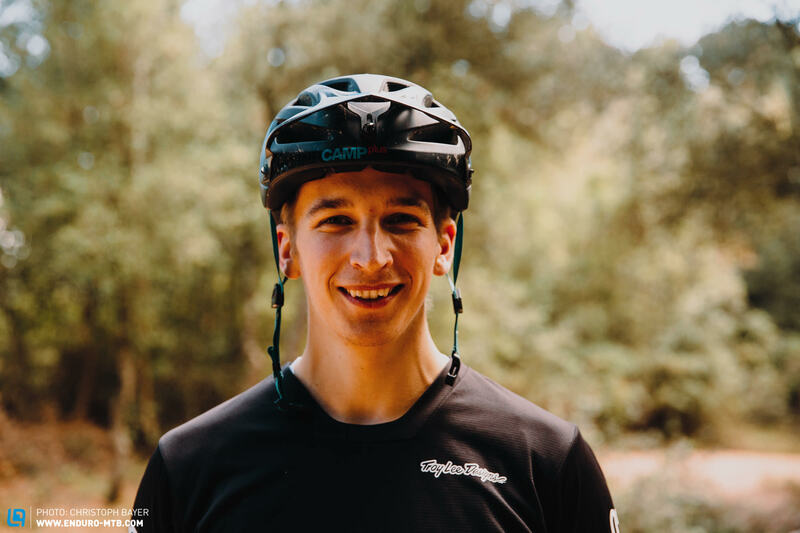 However, geometries have undergone a major evolution and come to define the riding experience and thus the intended use far more than that single value. 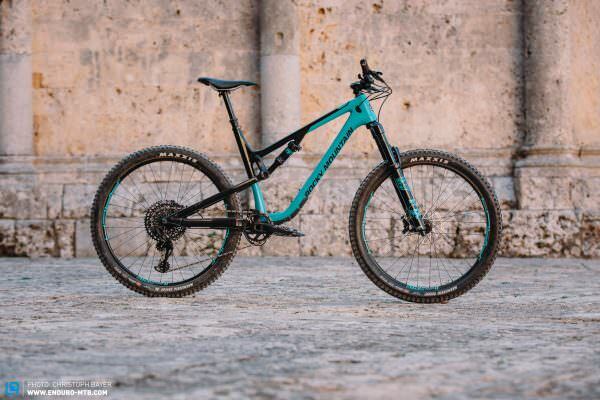 You’ll see enduro bikes with 150 mm of travel that are plusher and smoother than 160 mm trail bikes, which, in turn, are often more agile and lively. 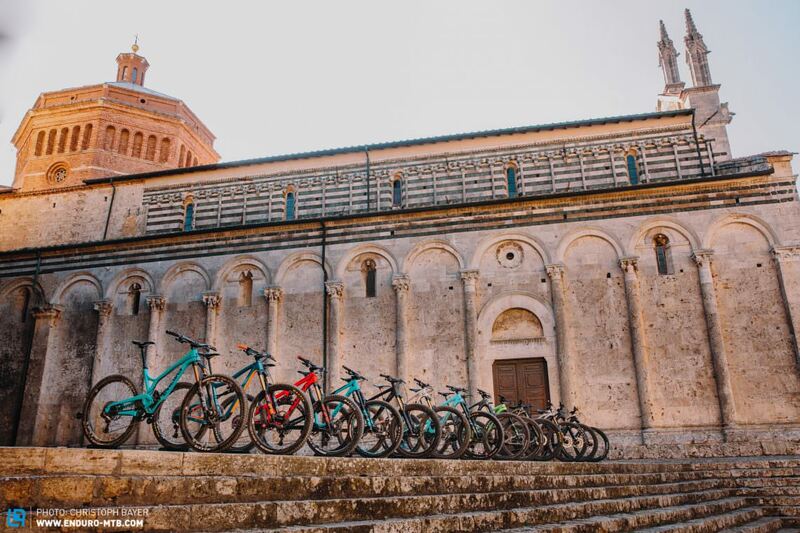 When it comes to travel, we noticed that only two of the 13 bikes in the test field offer the same amount of travel at the front and rear. All others rely on a longer travel fork. 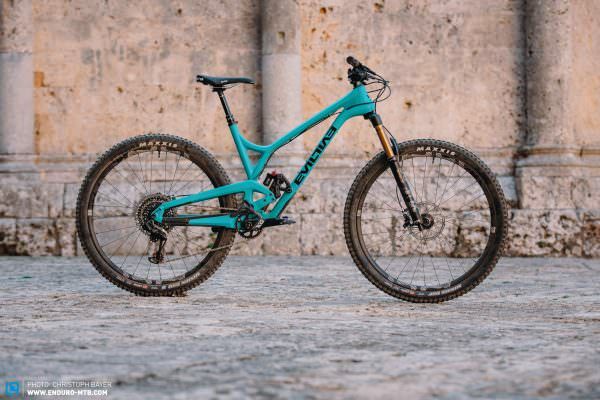 This is probably due to the fact that more travel in the front increases composure and stability without making the handling of the bike feel noticeably more sluggish. 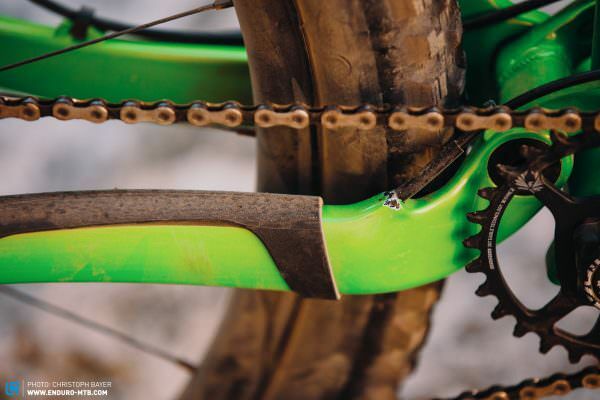 It is also generally easier to shorten the chainstays if the rear linkage has less travel. We didn’t notice an imbalance between front and rear on any of the bikes in the test field, so the mismatch works out riding. By now, the wheel size debate has almost turned into a religious war. Both wheel sizes have loyal followers, and each side is vindicated in this group test. 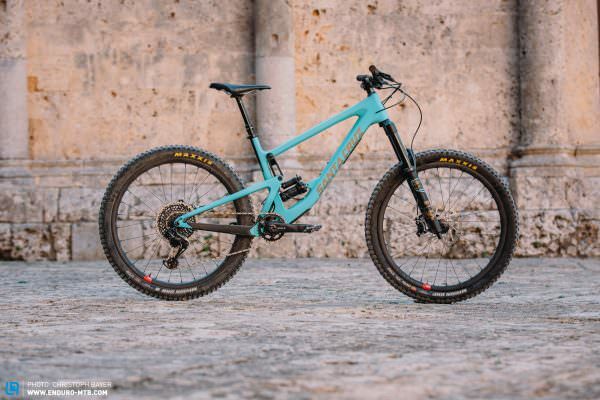 However, it was noticeable that the manufacturers sent more 29ers into the race and that these were generally ahead on the trail too. 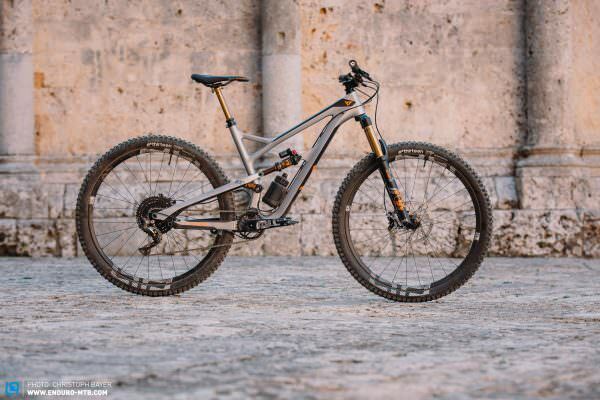 But if you’re looking for an agile bike, the 27.5″ Rocky Mountain Thunderbolt BC Edition is the most agile by far. 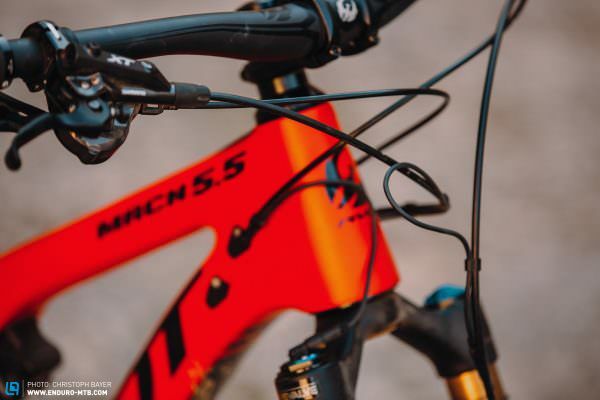 However, small wheels don’t always mean maximum manoeuvrability – the Pivot Mach 5.5 being the case in point. 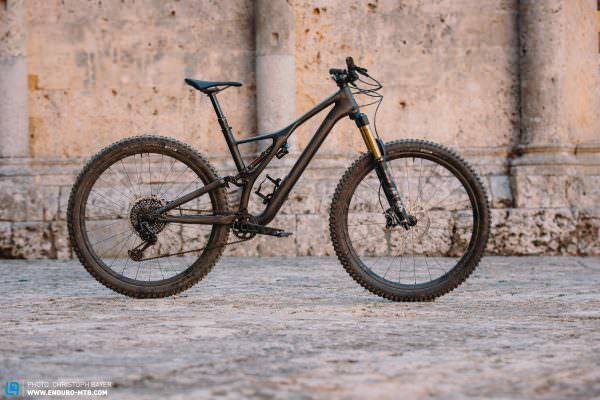 At the same time, the days of 29″ bikes being synonymous with cumbersome handling are long gone, impressively demonstrated by the Specialized S-Works Stumpjumper 29. Not long ago, plus tyres were hailed as the next big thing. Their proponents have become quieter, meanwhile, and bikes with super wide tyres have disappeared from most brands’ portfolio. Nevertheless, tyres have become wider on average. 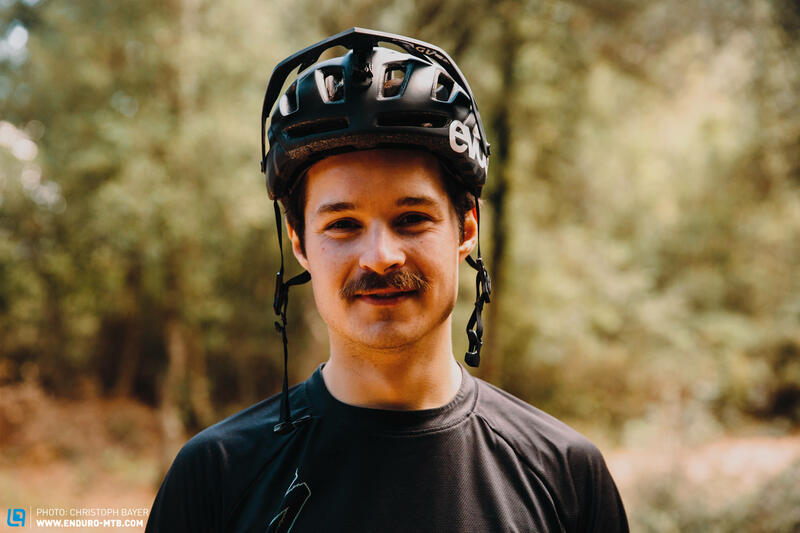 For example, three of the 27.5″ bikes come with 2.6″ wide tyres, and 29″ bikes are increasingly being specced with wide tyres too,with SCOTT relying on 2.6″ tyres here. 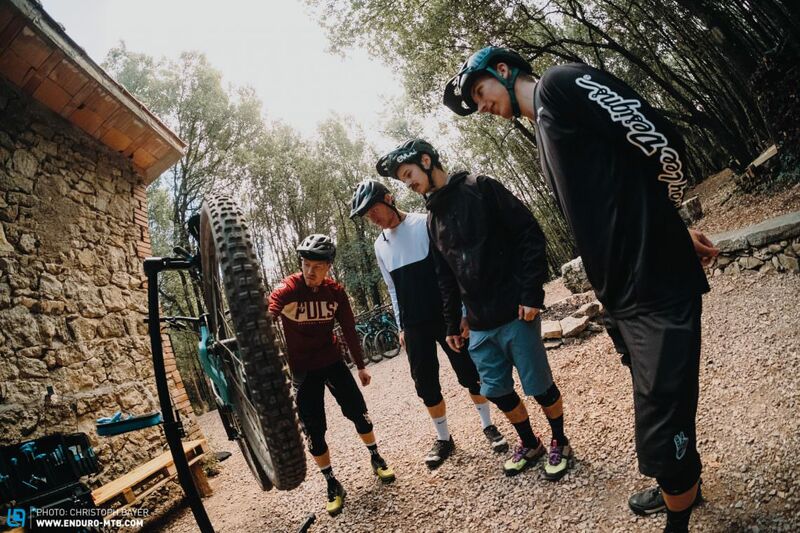 However, besides suitable rims, you’ve got to have the right the casing and tread on the tyre, and that’s where you start running into problems. With a wide and simultaneously tough tyre, the weight increases rapidly. If the casing is too thin and the tread not deep enough, you’ll end up with a lot of punctures and you’ll lack grip and lateral stability. So, the MAXXIS Rekon on the SCOTT, Pivot and Canyon couldn’t convince us. All testers agreed that the ideal combination is a MAXXIS Minion DHF 2.5″ WT with at least a 30 mm wide rim. 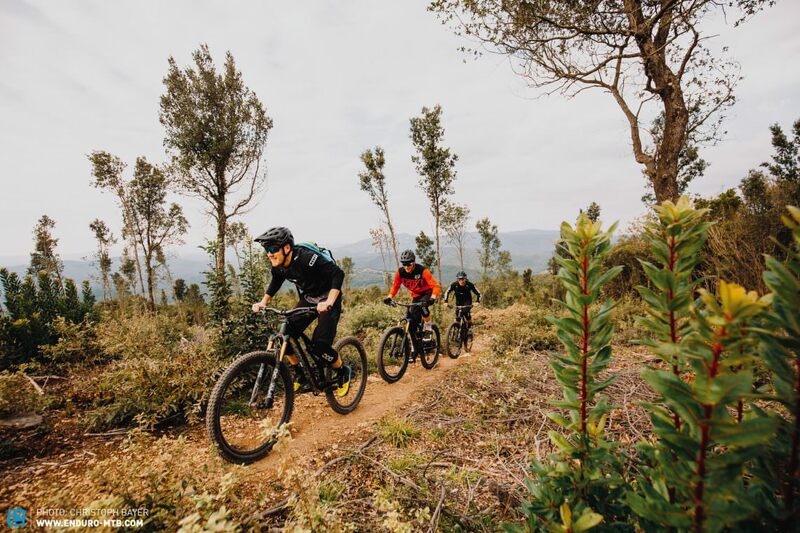 With these tyres, the bikes have more grip as well as more direct and precise handling – that’s what you want from a trail bike. 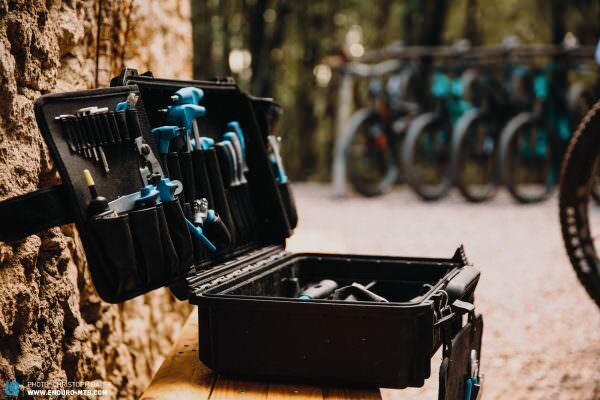 Trail bikes also need good brakes! 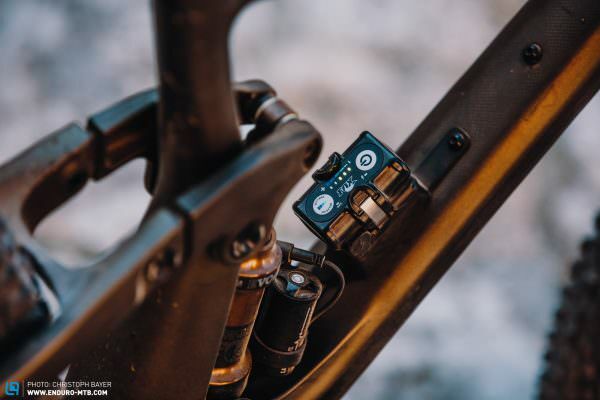 There’s only a 100 g weight difference between the SRAM Guide Ultimate and the SRAM Code RSC. 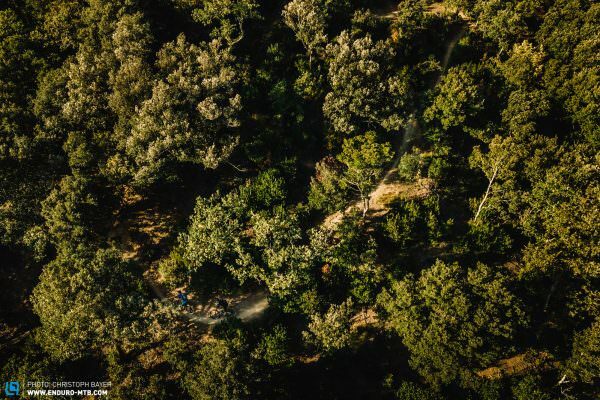 On the trail, however, there are worlds between the two brakes. 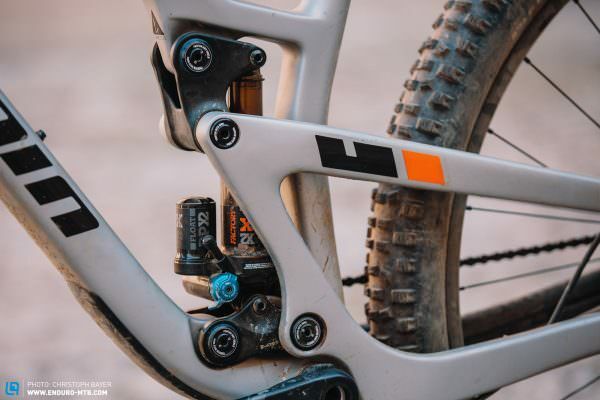 As trail bikes are being ridden ever harder and down longer descents, they also need brakes that are up to the task. Unfortunately, these are still missing on most bikes. 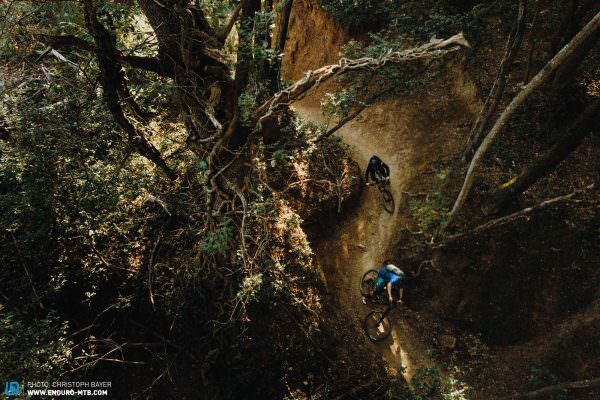 Therefore, in the name of more safety, control and fun, we plead for more powerful brakes and 200 mm rotors, at least on the front wheel – trail bikes need them too! Overtightening the dropper seatpost can damage it. The large, flat clamping surface on the Canyon Spectral reduces the clamping forces. 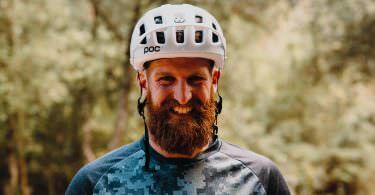 The SRAM CODE RSC brake is the best in the test field. It convinced us with excellent power, modulation and ergonomics. 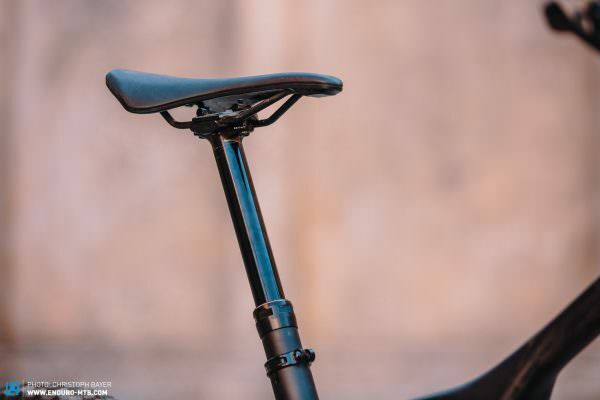 The straight seat tube makes it possible to insert the 175 mm KS LEV INTEGRA dropper seatpost all the way into the Ibis Ripmo frame – very nice! Giant saved at the wrong end: a slightly larger chainstay protector would do wonders for the paintwork. 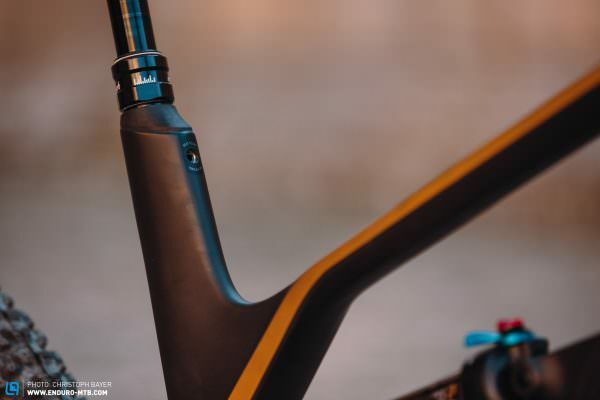 Unfortunately, you’ll have unsightly scratches on your chainstay after only a few rides. The climb switch on the shock of the Propain Hugene is positioned far down, so you can’t reach it while riding. The additional cables of the Live Valve system make the Pivot cockpit look disorderly. Besides, they regularly detach themselves from the clips and rattle around annoyingly. 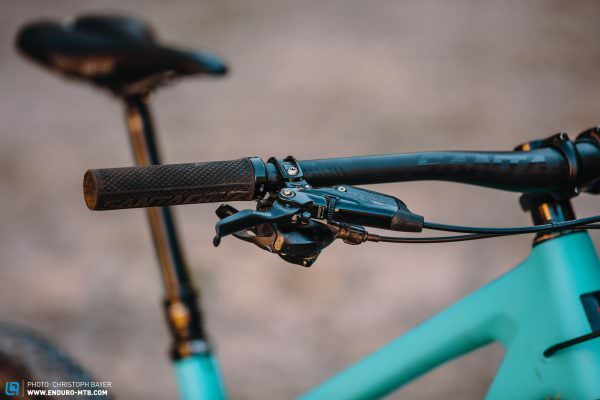 Despite all our efforts, the new Specialized IRcc Command Post seatpost didn’t stay locked in the extended position – annoying. 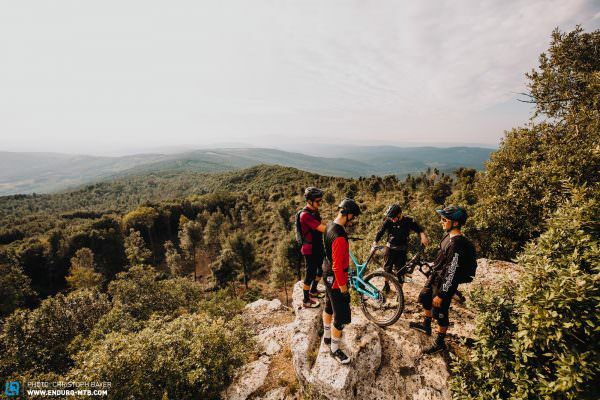 The conclusion of our group test is: “there are bikes that climb excellently and descend well and others that descend brilliantly and climb well.” And then there are bikes that are extremely agile, and others that are stable and composed. 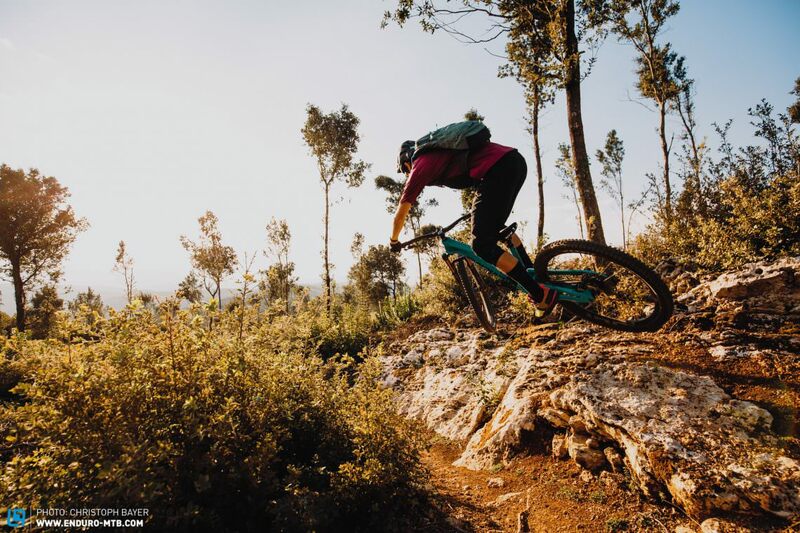 The best trail bikes master the art of perfectly uniting supposedly opposing characteristics, that are not only fun on flowing sections or on narrow technical trails but shine on rough terrain too. 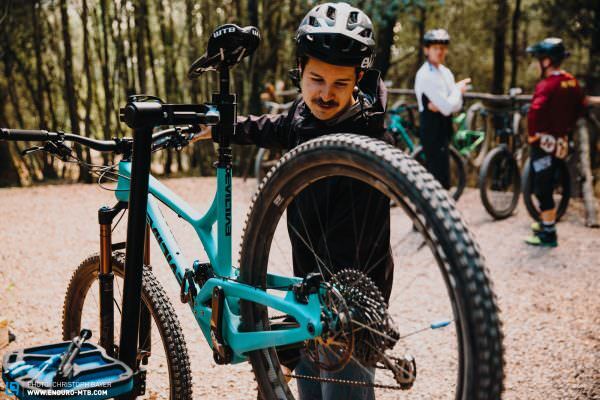 The bike that manages this balancing act is the Ibis Ripmo X01. 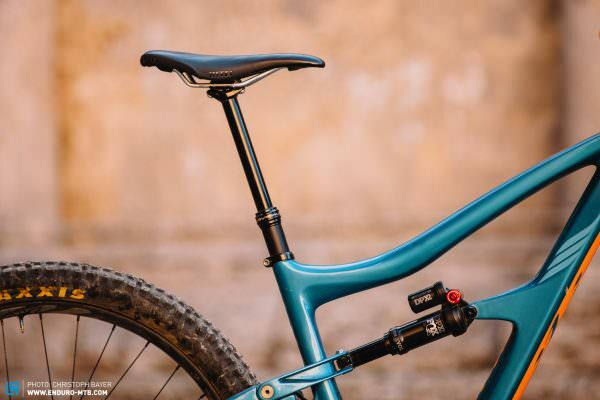 On top of that, it impressed us with ingenious features such as the fully insertable 175 mm dropper seat post, excellent finish and the superb performance of the DW-Link rear end. 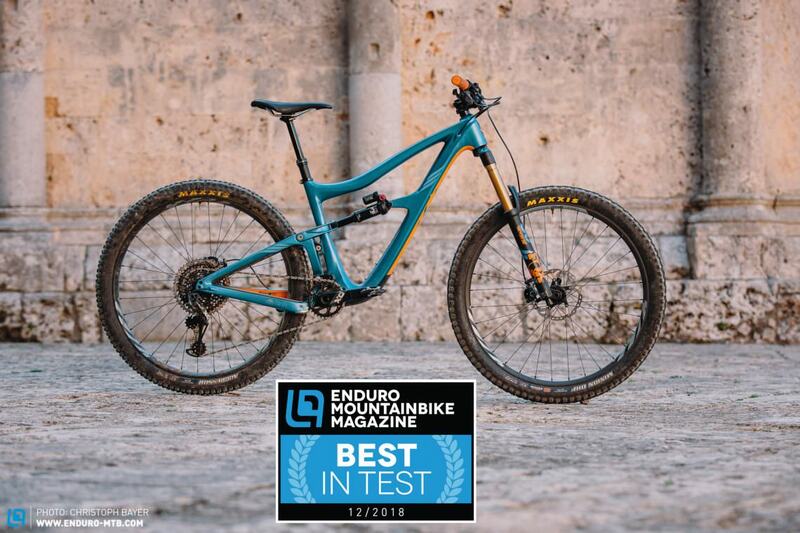 With this, the Ibis Ripmo secures the coveted “best in test” and is crowned our best trail bike of 2019. But there are other bikes in this group test that were outstanding too. 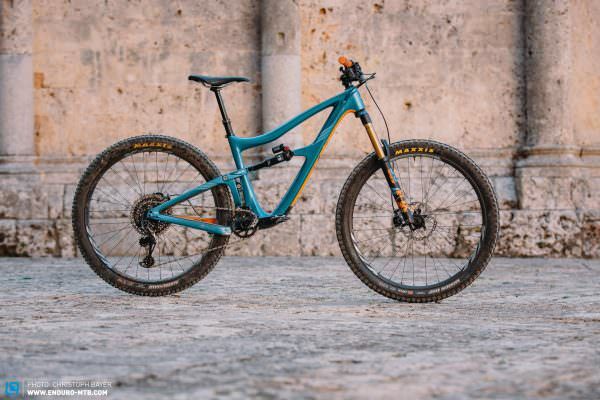 The Specialized Stumpjumper inspired us with its lively and stable riding characteristics as well as its intuitive handling, but we weren’t entirely happy with the spec. 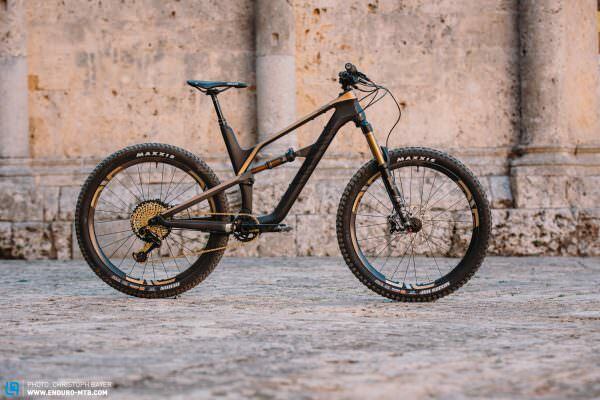 The Evil Offering performs better on the descents than the Ibis, but it isn’t quite as lively – climbing or descending. 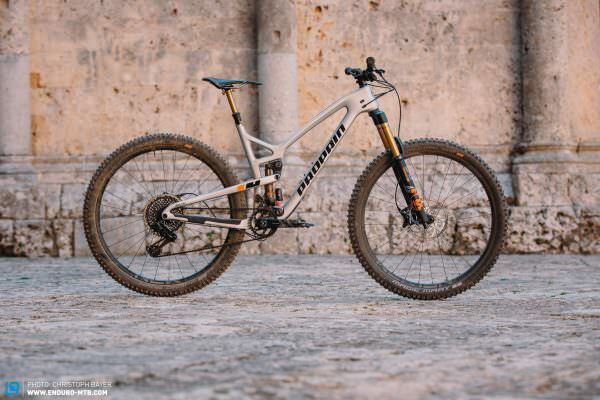 The Santa Cruz Bronson is a super fun bike for everyone who knows how to ride it. It rewards an active riding style with lots of agility to get the most from the excellent suspension. 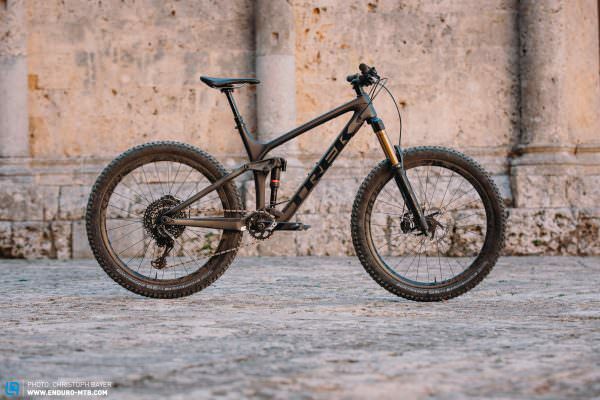 Another great bike is the Trek Remedy. 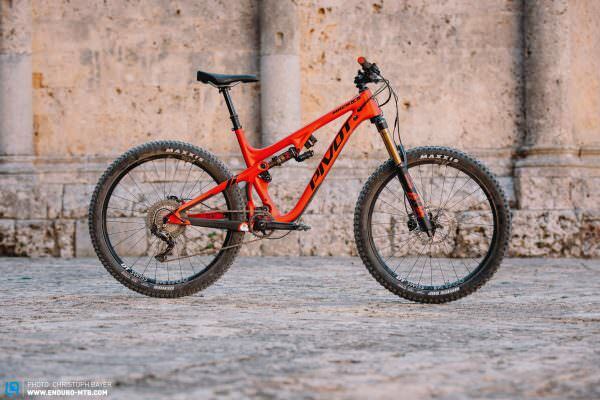 Above all, we were convinced by its balanced handling and the brilliant rear suspension – altogether, however, the Ibis is superior in this regard too. 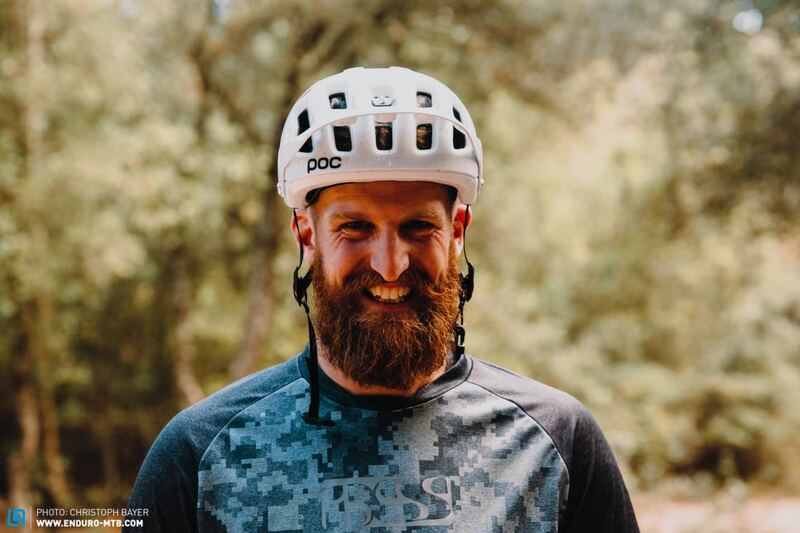 You’ll find detailed reviews of all bikes on the following pages. 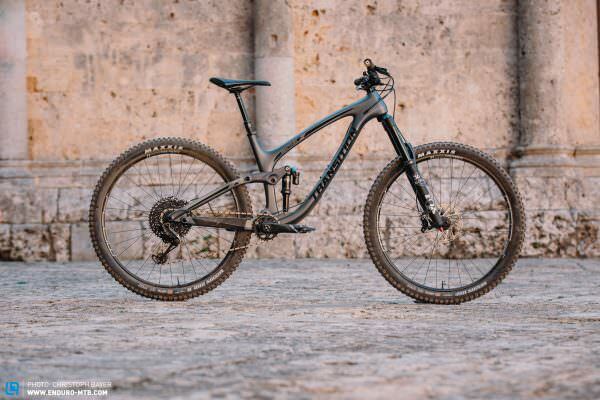 In this group test, we deliberately didn’t award any bike with the “best value tip.” If you’re looking for performance at a reasonable price, you should consider one of the top bikes in this group test with a lower end spec. When I ride my enduro bike I love shredding on the toughest downhill trails where I push myself and the material to the limit - and beyond. And when I have to get back up to the top of the hill I like sitting comfortably on a chair lift or in the back of a truck. 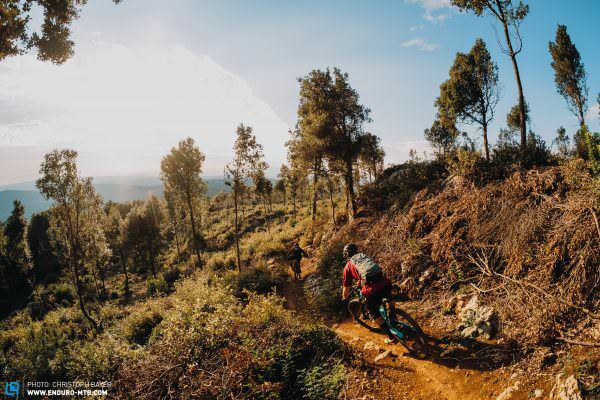 However when it comes to my daily commute to the ENDURO headquarters I don’t mind pedalling a few kilometres.